The Obama cult of personality dominates the Democratic National Convention to such a large extent that it has replaced the donkey, the traditional symbol of the Democratic Party–which is nowhere to be seen in Charlotte. It is normal for presidential campaigns to feature boldly in party posters and propaganda, on both sides, but it is unprecedented for a candidate’s own persona to dominate and exclude the symbols of the party itself. 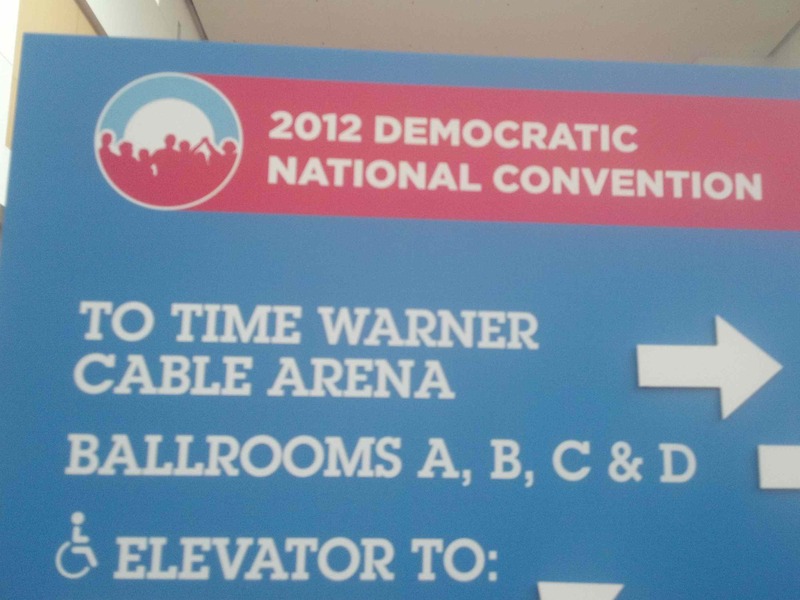 The ubiquitous “O” appears everywhere–on signs, placards, and press credentials. The omnipresence of the leader’s mark underlines the degree to which Obama for America controls every aspect of the convention–from the platform, to the agenda, to the access of media to politicians and delegates inside the Time Warner Cable Arena. Obama has supplanted the Democratic Party, which is now very much a top-down, one-man show.